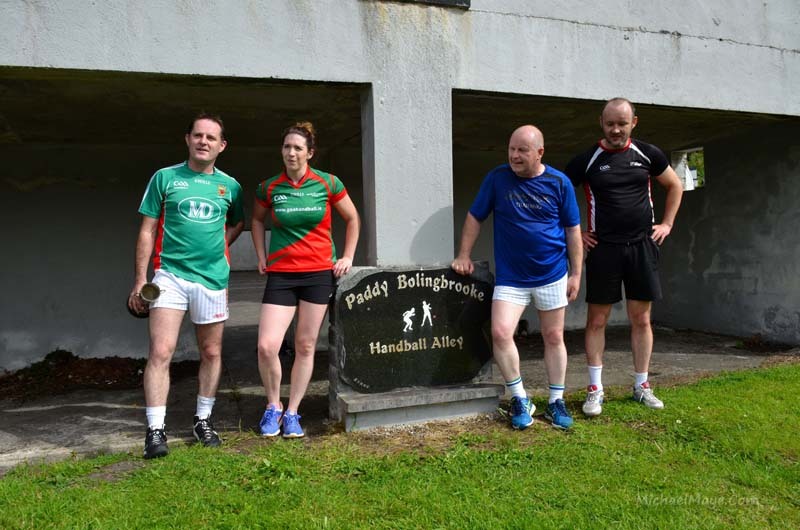 The Final of the Paddy Bollingbrooke tournament 2017 took place on Sunday 13th August at 3 pm in Swinford handball alley. Pauline Gallagher, Ollie Cassidy Peter Cassidy and George Miller are the finalists. We have had to limit the tournament to 2017 registered players only due to regulations imposed for all tournaments now hope to see a few there to support the players 3pm Sunday 13th at the alley on Santa Maria. Pauline and Ollie won out on the day.